Across all of Vancouver Island and the surrounding islands, Holman Plumbing and Water Treatment provides water filtration solutions for homes and businesses. 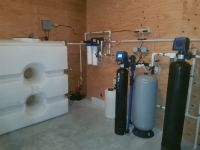 We are leaders in the area for design and installation of Ultra Filtration Systems. These systems protect from waterborne contaminants that can exist in the water sources that local pumps draw water from. 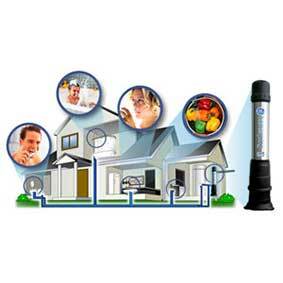 We're always excited to provide a new ultra-filtration system because until now, the only way to effectively protect an entire home from waterborne contaminants has been whole house Reverse Osmosis. In this day of water shortages and mandated water rationing, Reverse Osmosis is not always a practical solution. The differences between reverse osmosis (RO) and ultra filtration (UF) systems are small, but important. UF does not remove particles as small as RO. However, UF has significantly less waste water, is much less expensive, and has far better flow rates at a lower price point. 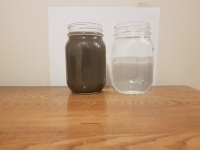 The introduction of UF technology has been a game changer because it gives people another option when they don't need filtration but don't need an RO system. UF systems are the best option for removing shale water. Ultra-filters remove impurities as small as .015 microns from the source water. Now, your family can have continuous, crystal clear safe water at every faucet, water consuming appliance, and shower head in the home. If you have questions about ultra-filtration systems, would like to replace your reverse osmosis system, or have other questions about your home's water, contact us by phone or email!